Sequel to Journey through the Links which was awarded No 1 golf book for 2007 by Sports Illustrated USA. 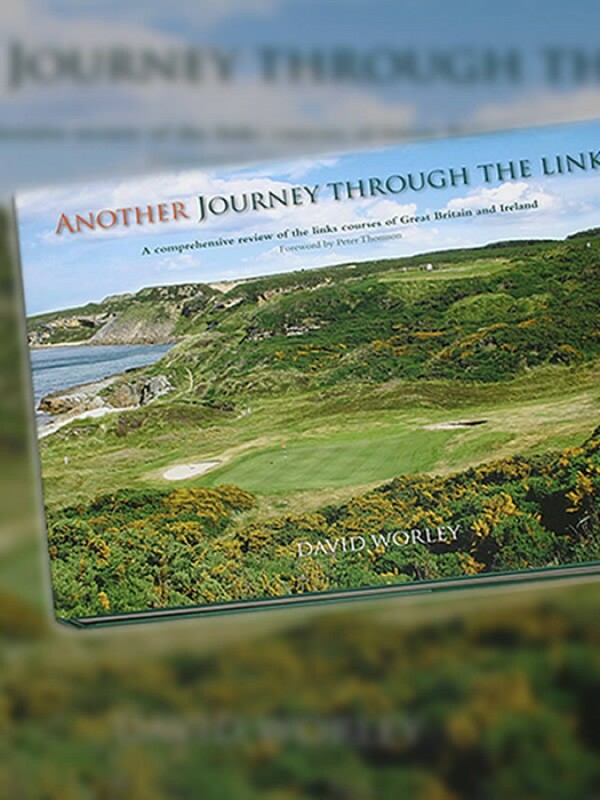 * Another Journey Through The Links was shortlisted in 2011 for the British Sports Book Awards. * The most comprehensive revue of links courses in the UK and Ireland ever undertaken. * This is arguably one of the finest golf books ever produced. * 416 large landscape size pages on high quality paper. The updated sequel to Journey through the Links, Another Journey reviews in depth pretty much every 18 hole links course in the UK and Ireland. In all there are 165 courses featured with over 500 high quality photographs, many of which do not feature in Journey through the Links. The links are reviewed in the geographic order I suggest you should play them on your trip. Scotland and England commence from the north east and then follow the clockwise route along the coast with Wales as part of the west coast journey through England. From first hand experience I recommend that Ireland should be tackled in an anti clockwise order starting at Royal County Down and ending with the courses just to the north of Dublin. And it is not just the big name courses that are reviewed. Most golfers don't go north of Brora on the Scottish coast but my wife and I ventured to Reay on the very north coast and then Wick just south of John O' Groats. Only the Orkney Islands lie between here and the North Pole! The west coast of Scotland provides for some interesting golfing adventures on various islands. In 2009 we travelled to the Outer Hebrides just to play the rediscovered Old Tom Morris gem at Askernish on the island of South Uist. Interestingly we also played the Scarista Links on the Isle of Harris but this was not included in the book as it was a 9 hole course. West of the Mull of Kintyre lies The Machrie on the island of Islay where you have many blind shots to the green and some of the local animals to contend with. Further south is the lovely Isle of Arran which has 7 golf courses but unfortunately it's only true links (Shiskine) is not 18 holes so could not be included. A picture paints a thousand words and there are many superb full page photos showing the wild links in all their glory. Where possible I took all the photos myself but sometimes the weather was so poor I had to use photos from other sources. The better courses are given more space in the book so there is everything you need to know about all the links on the Open rota together with many excellent options that are not quite so well travelled by visitors. If you stand on the 7th tee at Gullane No. 1 you can see 8 courses and they are all detailed in the book. I rate the Liverpool area as having more top quality links close together than anywhere else in the world. Courses reviewed here include Royal Liverpool, Royal Birkdale, Royal Lytham & St Annes, Hillside, Wallasey, Southport & Ainsdale, West Lancashire, St Annes Old Links, Hesketh, Formby and Formby Ladies. This is the ultimate golfing guide to links golf in the UK and Ireland.The book is of high quality and you can be assured that each course has been reviewed without fear or favour. Another Journey through the Links was the only golf book to be shortlisted for the 2011 British Sports Book Awards. What are people saying about David Worley's Golf Books? Worley "can reduce the hassles when you next decide to take a journey of a lifetime. At the very least, where to hit the blind par three, not to mention which courses serve the best soup and salmon after the round". "This might just be the best golf book in your library"
Brendan Moloney, Golf in Victoria magazine.